Military members who are involuntarily separated from the military may be entitled to involuntary separation pay (severance pay). To be eligible, a military member must have six or more years of active duty, and less than 20 years. Full Pay - To qualify for full pay, the member must be involuntarily separated, be fully qualified for retention and the service must be characterized as "Honorable." Examples would be separation due to reduction in force, or separation due to exceeding the high year of tenure. Half Pay - To qualify for half pay, the member must be involuntarily separated, with service characterized as Honorable or General (under honorable conditions), and the reason for discharge must be under certain categories. Examples would be discharge due to failing fitness/weight standards or involuntary discharge due to parenthood. - be in a rate or rank that was overmanned. The SSB payment was a one-time payment calculated by multiplying base pay from the last year of service by 15%. Then multiplying by the number of years served on active duty at the time of your last day in service. This payment was given on the members last day in the military. Voluntary Separation Incentive (VSI) - Voluntary Separation Incentive is another early retirement program that differs from SSB as it is paid in monthly payments for twice the time served. This Department of Defense program is designed to carefully reduce the size of the Armed Forces in order to not create any mission capability and readiness imbalances. This program as last used in the 1990s and stopped immediately after the attacks on September 11, 2001. The requirements are the same at the SSB above. You will receive monthly payment for a period of time that is equal for two times the number of total years in the service. For instance, if you had 10 years of service at separation, you would receive a yearly VSI payment for 20 years with prorated partial years as well. · and have a disability rating of less than 30%. If you were discharged with this severance pay, you cannot join the active duty again or choose to apply for retirement later. However, you may be eligible to apply for monthly disability compensation payments from the Department of Veterans Affairs (VA) if the VA determines your disability is service-connected. Disability severance pay is a one-time payment. The lump sum payment equals 2 months of basic pay for each year of service which includes active service and inactive duty points under 19 years. Additionally, the minimum number of years required for computation purposes is six years for a disability incurred in the line of duty in a combat zone, or 3 years in the case of any other member. 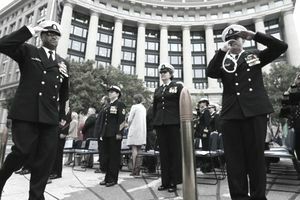 · Regular Retirement - Serving honorably for 20 or more years in military service. · Reserve Retirement - Serving honorably for 20 or more years in the Reserves / National Guard with combined active duty service optional. · Temporary Disability Retirement List - Members on the Temporary Disability Retired List (TDRL) have physical disabilities that deem them unfit for military duty. However, the disability has not sufficiently stabilized to accurately assess its permanent degree of disability. · Permanent Disability Retirement List - If your disability is found to be permanent and is rated at 30 percent or greater or you have 20 or more years of service. · Temporary Early Retirement Authority - Under this program (not in use today), if you had over 15 years - but less than 20 years - of total active duty service you could apply for early retirement. It allowed the military to help in the drawdown following the end of the Cold War.